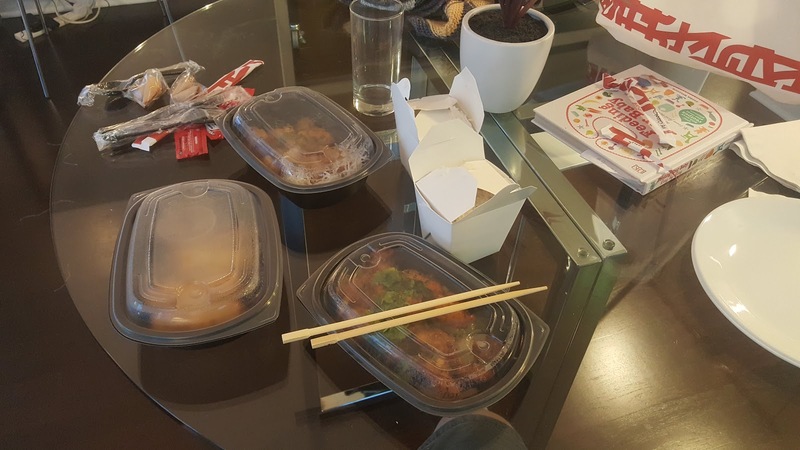 We had our first takeaway on Tuesday night, and the delivery driver came right up to our door. Brilliant. It was pretty expensive but they gave us loads of food which we'll be eating the rest of tonight so not too bad really. The rice came in those boxes you see in US films, pretty cool. That's another thing ticked off the to do list.